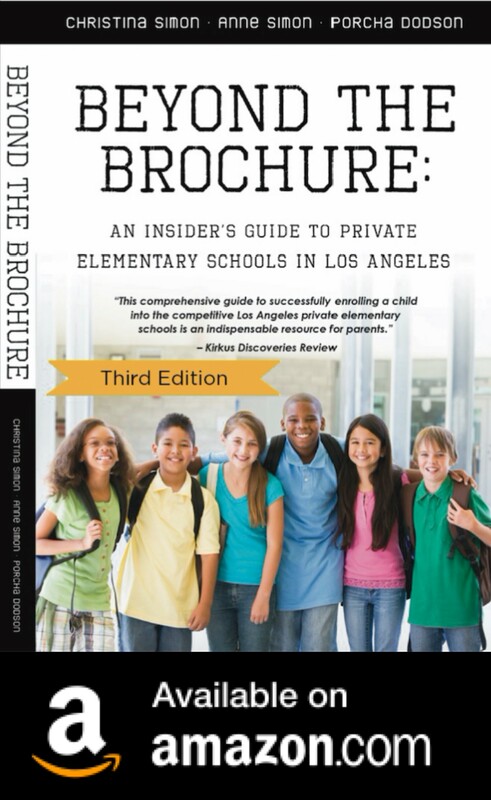 Since Beyond The Brochure was published in September 2009 (1st Edition) and 2013 (2nd Edition) the authors (Anne, Christina and Porcha) have spoken at numerous L.A. and Pasadena area preschools on the topic of private elementary school admissions. We’ve also been featured speakers at events hosted by Momangeles, Club Mom Me and Beyond The Brochure. Sometimes a group of moms (or moms club) will host an event where we talk about admissions at a private home or a restaurant or club. All these events are where we connect with our readers–moms and dads who are considering private school for their kids. We enjoy meeting our readers! If you are interested in having Christina speak at your event, please contact me at csimon2007@gmail.com. If you are a preschool director and would like a FREE copy for families at your preschool, please email Christina at csimon2007@gmail.com.